The following safety huddle topic is an overview of OSHA personal protective equipment for the construction industry. All information has been extracted from OSHA 29 CFR Part 1926, Subpart E. This information is for informational purposes only. Employers should always create a written policy that supports a comprehensive PPE program and conduct regular trainings specific to the safety equipment used in their workplaces. The key to selecting the appropriate PPE is the proper identification of all hazards in a workplace that may cause harm or injury to an employee. All PPE is listed to protect employees from very specific hazards. Research the differences between classes of PPE and make a selection based on their rated capacities. 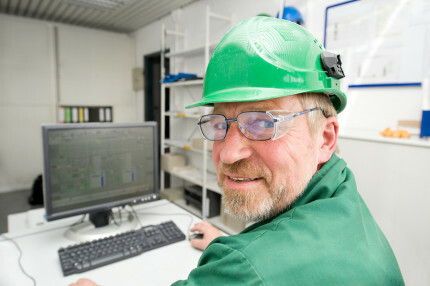 As an example; an employee works near a furnace operation. You would not want to just buy shaded safety glasses. By consulting Table E-1, you will find that the employee needs safety glasses with class 7, 8, or 9 protectors. Always research all forms of PPE before purchasing and employing for service. Application- protective equipment including eyes, face, head, extremities, protective clothing, respiratory devices, and protective shields and barriers shall be provided, used, and maintained in a sanitary and reliable condition wherever it is necessary by reasons of hazards of processes or environment, chemical hazards, radiological hazards, or mechanical irritants encountered in a manner capable of causing injury or impairment in the function of any part of the body through absorption, inhalation, or physical contact. Employee-owned equipment- where employees provide their own equipment, the employer shall be responsible to assure its adequacy, including maintenance, and sanitation. Safety-toe footwear for employees shall meet the requirements and specifications in ANSI (American National Standards Institute) Z41.1-1967. Protective helmets shall be required in areas where employees are in danger of head injury from impacts, falling or flying objects, or from electrical shock or burns. Helmets shall meet requirements set forth in ANSI Z89.1-1969. Helmets for employees exposed to high voltage electrical shock and shock shall meet ANSI Z89.2-1971. Use table D-2 in OSHA 29 CFR 1926, Subpart D for defining permissible occupational noise levels. Always eliminate or mitigate noise hazards and limit duration of exposure to noise hazards when possible. Wherever it is not feasible to reduce the noise levels or duration of exposures to those specified in Table D-2, ear protective devices shall be provided and used. Ear protective devices inserted in the ear shall be fitted or determined individually by competent persons. Plain cotton is not an acceptable protective device. Employees shall be provided with eye and face protection equipment when machines or operations present potential eye or face injury from physical, chemical, or radiation agents. Eye and face protection shall meet ANSI Z87.1-1968. Face and eye protection shall be kept clean and in good repair. Use Table E-1 in Subpart E as a guide in the selection of face and eye protection for the hazards and operations noted. Protectors shall be comfortable, fit snugly, be durable, be capable of being disinfected, and easily cleanable. Use Table E-2 for selection of shade numbers for welding operations. Use Table E-3 for selecting safety glass for laser operations. Employees working over or near water, where the danger of drowning exists, shall be provided with U.S. Coast Guard-approved life jackets or buoyant work vests. Prior to and after each use these protective devices will be inspected for defects. Ring buoys with at least 90 feet of line shall be provided and readily available for emergency rescue operations. Distance between ring bouys shall not exceed 200 feet. At least one lifesaving skiff shall be available for employees working near or over water. Refer to Subpart M for all standards pertaining to fall protection equipment. Respirators is an extensive subject that will be addressed in a future Safety Huddle article.